Posted on November 20, 2018 at 12:41 am. TAGSAM, or Touch-and-Go Sample Acquisition Mechanism, completed a successful practice deployment in space on Nov. 14—an important milestone in the OSIRIS-REx mission to the asteroid Bennu. TAGSAM is the first-of-its-kind robotic arm and sampling head invented by Lockheed Martin. Lockheed Martin engineers on the Mission Support Area (MSA) team moved TAGSAM’s arm through the full range of motion of all its “joints”—shoulder, elbow and wrist. The maneuver demonstrates that TAGSAM is ready to collect surface material (regolith) from Bennu. Lockheed Martin engineers spent more than a decade designing, building and testing TAGSAM. The mechanism meets the unique challenges of trying to collect samples from the smallest planetary body that a spacecraft has ever orbited. 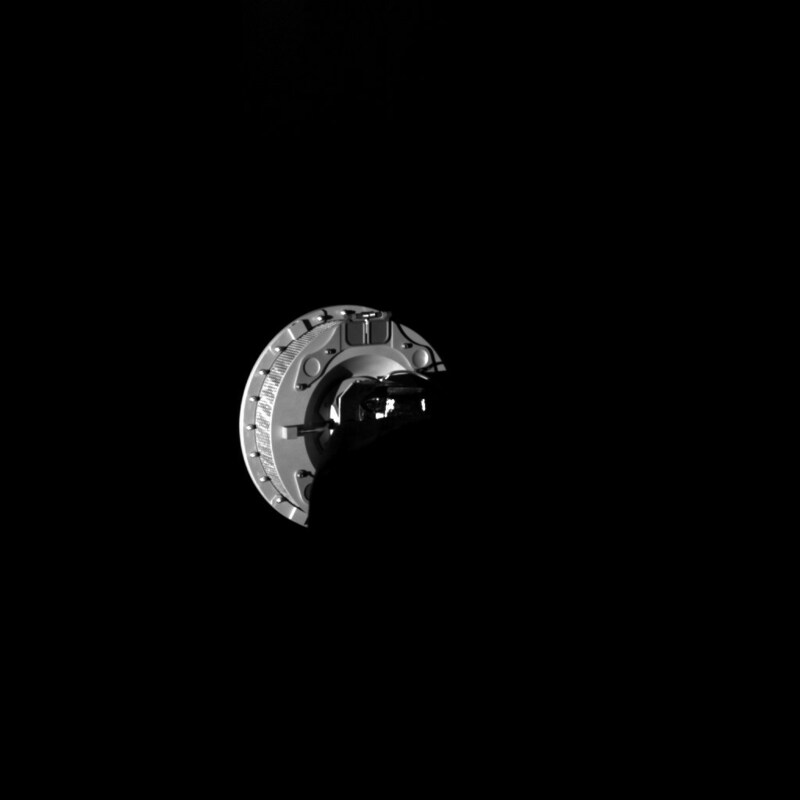 The OSIRIS-REx spacecraft cannot land on Bennu because of its small size—just 0.3 miles (500 meters) in diameter–and its microgravity environment—100,000 times less than Earth’s. Instead, TAGSAM will extend its 11-foot-long (3.35-meter) arm from the spacecraft to Bennu’s surface and “tag” the asteroid. The round sampler head will agitate the surface and loosen regolith with a jet of nitrogen gas, allowing the suspend­ed particles to pass through a filter into the sampler head. The entire operation will take about five seconds, with the TAGSAM head bouncing against the surface in a pogo-stick-type motion. If necessary, TAGSAM can make up to three sampling attempts to collect at least 2.1 ounces (60 grams) of regolith. TAGSAM began its journey aboard OSIRIS-REx on Sept. 8, 2016. The spacecraft is scheduled to reach Bennu on December 3, 2018, and complete a survey of the asteroid over the next two years. The window for the touch-and-go sampling operation opens on July 4, 2020. Once enough sample is collected, the TAGSAM head will be stowed and sealed in the spacecraft’s sample return capsule (SRC) for the return trip to Earth, with expected arrival on September 24, 2023. NASA Goddard Space Flight Center in Greenbelt provides overall mission management, systems engineering and safety and mission assurance for OSIRIS-REx. Dante Lauretta of the University of Arizona, Tucson, is the principal investigator, and the University of Arizona also leads the science team and the mission’s science observation planning and data processing. Lockheed Martin Space in Denver built the spacecraft and is currently providing spacecraft operations. OSIRIS-REx is the third mission in NASA’s New Frontiers Program. NASA’s Marshall Space Flight Center in Huntsville, Alabama, manages New Frontiers for the agency’s Science Mission Directorate in Washington.